Applicant tracking software is the useful software for the HR department which one is helpful for recruiting and hiring process for the company. Whenever we apply online for any companies, our resume isn’t typically sent to the recruiter directly. It first comes to the applicant tracking software. In small companies, hiring is not a big issue but for big enterprises, it’s a really lengthy job. ATS tracking software maintains all the resumes of the company position wise in one place and this thing is helpful for the HR managers to manage and organize all the hiring process. Recruiters can easily shortlist the members and schedule the interview through the best applicant tracking system software. It’s an automated process of hiring where ATS software can easily track resumes and filter the resumes as per given criteria. 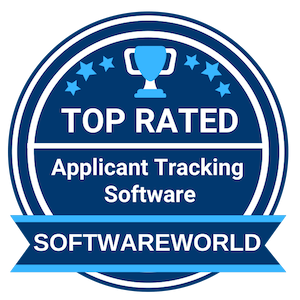 If you are looking for the top ATS software for your business, here you can find an exclusive collection of Top-Rated applicant tracking system software by SoftwareWorld. What are the Best Applicant Tracking Software In 2019? About BambooHR : It is one of the most famous and convenient software that the Human Resource department of companies, big and small, use to keep track of all the important aspect of its employees. It is cloud-based software which provides Applicant Tracking System facilities which allow the HR different automation tools in diverse languages, based on subscriptions, for the above-mentioned purpose along with turnover and retention of employees. About Bullhorn : BullHorn is Boston based service software that works on the basis of Applicant Tracking System as well. The functioning is based on a SAAS (software as a service) model. Their main agenda is to provide Customer Relationship Management (CRM) and other related functions to the HR to facilitate easy and hassle-free recruitment. A number of reputed companies use their services and the productivity of these companies have increased. About Greenhouse : This is the fastest growing and upcoming software in the field of Applicant Tracking and many reputed companies like Times Inc., Airbnb and Cisco Meraki have taken its assistance by using its unique design and guidance intelligently, for hiring the top talents for their organizations, making it a significant provider in the talent pool. It has won quite a few accolades for its phenomenal achievements in this field as well. About iCIMS Recruit : This software is generally used by a number of mid-sized organizations or individual enterprises. Their segregation of the talent and tracking of potential candidates is unparalleled and is known to provide the best recruitment options for their clients, using the cloud-based computing system, and also helping them get the best before others. Their services have been deemed to be impeccable, making it the most preferred employee tracking software. 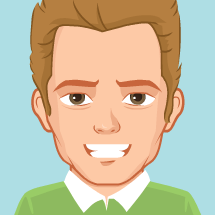 “Hands down the best applicant tracking system out there. Easy of use & functionality are amazing. Being able to customize the software to meet our needs and the ability to create different dashboards for people within the company.” – Melissa P.
About WebHR : This software service is used by companies ranging from 2 employees to thousands. It provides an enormous range of services which starts with hiring and ends at retiring. It follows an All-in-one cloud computing system and has made the job of recruitment and management of the employees by the HR much easier and reliable, which acts as a boost to productivity and also saves a lot of time. “I came across this in the early stages of my business. I see it as a valuable resource for all the tools it offers. The most awesome part is the recruiting portal. I love the ease of use of the recruiting portal. I love the job portal that can be used on my website. Very professional software! 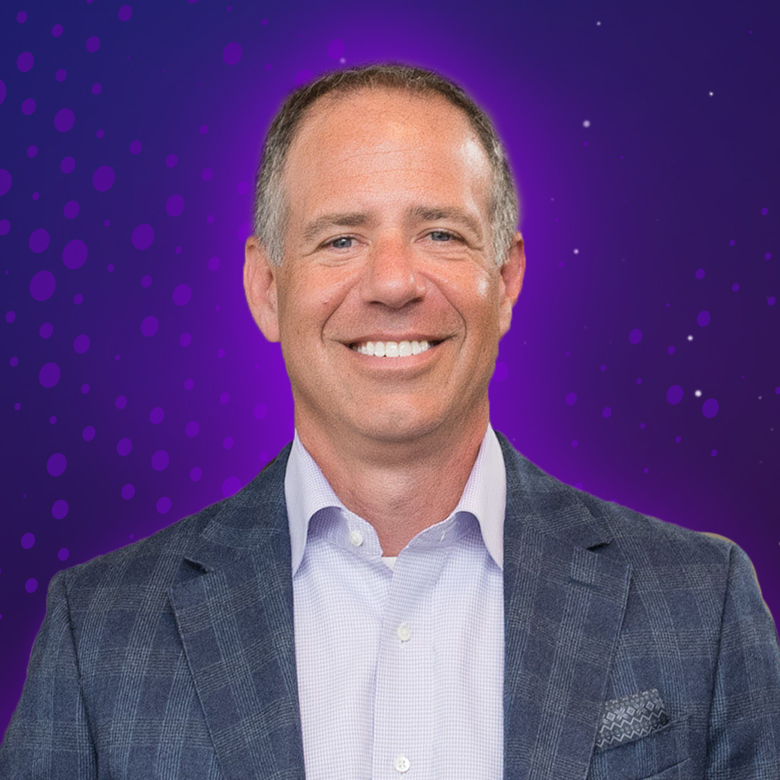 I recommend it!” – Matt G.
About BrightMove : HR in the corporate sector and staffing firms, as well as RPO, are heavily dependant on the services that this recruitment software provides in order to track, employ and manage employees of the highest talent. It was started way back in 2005 and in the 13 years that have gone by, it has become one of the most sought-after Applicant Tracking System in the world, providing excellent results. “Great software that’s affordable and customizable. Great value for the monthly cost. Fields are easily customizable along with processes. Integrates with email and has an internal job board posting that is connected to probably 100 social media/external sites. 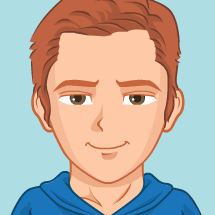 Resume parser is one of the best out there.” – June B. About Freshteam : Freshteam is an intuitive, easy-to-use, affordable Applicant Tracking System and Recruitment Software that helps recruiters source, interview and hire great talent. With Freshteam, recruiters can set up jobs pages, share job postings, solicit employee referrals, collaborate with the hiring team to shortlist candidates, schedule interviews, gather feedback and make offers. Freshteam is part of Freshworks, whose products include Freshdesk, Freshservice etc.with 150000+ businesses worldwide. About CleverStaff : As the name suggests, this software is the top of the line, where smart recruiting is concerned. It gets all the tools under one roof, ranging from showing the potential candidates available for recruitment, the vacancies that have opened and other appropriately related data. All the automation tools work under the cloud computing method. It also suggests candidates for a particular vacancy if needed, showing its superior segregation skills. “Awesome functionality, and clear interface! Great tool for any employee recruitment needs. We love how customizable the system is! 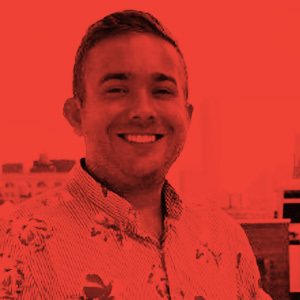 We can add unique stages and positions just for our recruitment workflow, import and export large amounts of data, and send emails to both internal team members and external candidates all from the platform.” – Alex L.
About Recruiterflow : This modern Applicant Tracking System is all about customization, which makes recruitment much easier than what the other software in the same genre provides. Connecting with any candidate with a plugin from Chrome, allows the users to contact an employee directly and send drip emails and pipeline their credentials to the client, saving a lot of time, somewhere around 2 hours, in skimming through and choosing the best. 10. enlist – Applicant tracking system for modern teams. About enlist : The unique aspect of this recruiting software is that it allows easy collaboration with a team during the recruitment process and can ask for feedback and opinions regarding the hiring of any employee. It effectively serves the purpose of creating a source for available jobs and easy hiring the perfect employees. The interface is so simple and uncomplicated that tasks can be performed on the go as well, seamlessly. “When I discovered enlist.io I was excited. After having spent several days searching and trying different ATS offers, this was the first one that had a pricing that made sense. 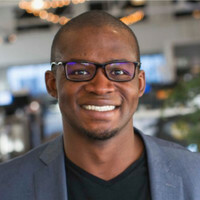 As a small startup I recommend enlist.io to anyone that everyone that cares about their hiring process.” – Emmanuel V.
The process of hiring manpower is indeed tiresome. The process involves various pain points such as posting same job ads to multiple job boards, building and maintaining career sites, going through a lot of resumes to chunk out the necessary data and many more. In this regard, Applicant Tracking Software is a cloud-based application dedicated towards HR division to ease the tasks for the company thereby saving time and money. Here is the complete Buyer’s Guide for the same that will help you understand each nuance of this application better. » What is an Applicant Tracking Software? » How does the Applicant Tracking Software work? » How to choose the best Applicant Tracking Software? » What are the features of Applicant Tracking Software? » What are the benefits of Applicant Tracking Software? » Applicant Tracking Software pricing: what are the costs? » What are the top Applicant Tracking Software in 2019? What is an Applicant Tracking Software? Applicant Tracking System Software is a solution that creates a central repository of candidates’ data in order to facilitate a hassle-free manpower recruitment process. Firms can better manage their time and resources towards staffing and recruitment thereby achieving greater overall efficiency. Based on a Software-as-a-Service (SaaS) platform, ATS is a cloud-based application that is an ideal architecture to adopt for a company of any niche. It can bring perform multiple tasks at the same time. For instance, it can sort the CVs as per important criteria and can even help to track non-selected candidates for future openings. Through a central repository system and efficient workflow management, it can bring speed and agility into the overall process of staffing and recruitment. Is it worth investing in money? In this fast running world where a high return of investment comes as a primary motto, investing in ATS software would be an ideal bet for sure; it can help to hire quality manpower in less time in less cost. Usually, when it comes to manpower hiring, a number of the repetitive process takes a major amount of time which can be reduced to 75% using ATS. The time required to fill a position can decrease by 15% whereas the rate of placement per month can increase by 10%. ATS system not only helps in managing recruitment stuff but also facilitates towards managing end-to-end recruiter workflow as well. For instance, its robust reporting functionality can help firms to decrease report generating time by 70%. Needless to say, the intelligence workflow will help HRs to separate a bunch of ideal candidates from a pile of applications in very less time. The application can well fit into the screen of any size and can back up the data through a central cloud system in case of disaster management. In short, it can act as a passive candidate sourcing even if you do not have an official team for the same. In this regard, it is a wise choice to integrate the ATS system to your HR management system. How does the Applicant Tracking Software work? Starting from posting jobs on various job portals to hiring candidates, everything can be managed from a single dashboard. Without a requirement of restructuring your current workflow, ATS software can enable you to increase and speed-up the level of your user adoption to a much extent. Some ATS systems are also capable enough to reach the top talent and import their social contacts into the central repository. Mostly the entire process goes through four major steps and a number of submission channels. All candidates will go through this entire process that involves application submission, review, interview, and final selection. Though the application has its own workflow, you can configure it to match your needs. For instance, you can consider adding pre-screening as a process before finalizing candidates for the final interview. The ultimate aim of this system is to make you fast and agile in the business, so you can configure the application the way you want in order to achieve the same. Identifying your requirements is the first step before selecting an ideal Applicant tracking system software for the firm. This is a simple 3-step process. Firstly, list out your pain points in the present system. There would be definitely some common pain points such as wasting time on reviewing irrelevant applications, building spreadsheets to track candidates from time to time for evaluation, spending too many dollars on external recruiters for hiring mid-level candidates and the list can go on. Map out the goals and needs of your new system to come up with a definite idea of what type of Applicant Tracking software you want exactly. Secondly, decide how you would like to access the online applicant tracking system. Some firms look for applications that can be installed into the hard drives whereas some look for online based application to cut the hardware requirements out of the budget. Also, you must decide the number of access for the same, like executives, managers or recruiters etc. Finally, decide the budget during the process of evaluation. Usually, most just focus on the cost of subscription and ignore the other cost associated with other auxiliaries such as set-up and hardware cost. Let’s not forget, there would be also expenditure for support during the implementation process. Another important aspect to keep in mind is that all such applications require periodic backup for disaster recovery. Add all the above and you will come up with an approximate cost of ownership. How to choose the best Applicant Tracking Software? Now that you have understood application clearly, it’s time for you to do the homework before zeroing upon any software. In this regard, here are some tips that are worth considering. It’s imperative that your service provider should be able to understand your market well. Otherwise, you may not receive on the table what you had asked for. Though it may take some time to calculate the TCO, it is worth your time. That will clear the air on how much your budget should be. There are additional benefits of having a good ATS system by your side as they offer lucrative add ons. For instance, some offer discounted job postings on top job boards whereas some provide free technical support. However, they may not upon up unless you ask them to. Never get sold by the marketing gimmick of a company and decide to pay for the subscription. You never know how a small unnoticed bug may put your entire process in jeopardy. ATS enables you to post jobs on the website of your client and on various job boards with ease. It will go through the information posted to look for ideal candidates. That’s why it is imperative to review the tabs asking the necessary info again and again before posting. Otherwise, you may end up drawing the wrong crowd. ATS can also help you to run email marketing in order to bridge the gap between ideal candidates and your client. While using that for sourcing candidates, you can advertise job orders. ATS reduces the process timing to a much extent as compared to manual execution. ATS creates a central repository system that keeps CVs received from different job portals and email inbox at a single place. As you have them all inside a single recruitment database, organizing them as per your requirement becomes a cakewalk. You are no longer required to go through a long stack of applications in order to sort them as per the niche of vacancies; ATS will do that for you with ease. Resume parsing is another feature that makes ATS highly sought-after by the firms. After collecting resumes into a central repository, it scans them and chunks out the necessary information required to categorize them. The necessary information such as skills, contact information etc. gets listed on a separate panel so that you can get what you are looking for quickly. Suppose, you have set priority for a skill A over B for the post, ATS can sort the resumes accordingly. It can categorize the applicants based on the order of priority. Thus, you can directly get the cream without digging dip into the mess. Undoubtedly, it will save a lot of time. Once you have all the resumes with you, tracking applicants become a simple task. You can easily separate the wheat from the chaff, mean to say, you can easily come to know which candidate is to be shortlisted and who is no longer required. You can narrow down the pipeline and reserve the candidates whom you may reconsider offering the position in case of future requirements. This feature is a boon for the firms involved in international recruitments. Instead of hiring translators of depending upon search engine auto-translation, ATS can do the job for you. As it is a SaaS powered online applicant tracking system and thus can run as a web application, candidates can easily apply from their mobile device. So, it makes sure, you don’t miss even a single ideal candidate. Performing Video Interview is no big deal but ATS automatically saves into a candidate profile during the application process. This is indeed an interesting feature that is compelling more number of recruitment firms to add ATS into their system. What are the benefits of Applicant Tracking Software? It is no doubt that ATS provides unparalleled candidate management for importing ideal qualified candidates into the firm but it has few other cutting-edge unique selling points too. Let’s analyze them in detail. You can save a considerable amount to time required on daily basis for manpower staffing and recruitment. Starting from sorting resumes to tracking candidates, everything will go through an automatic process without letting you worry about human mistakes. By this time, it would have been apparent for you that integrating ATS into the HR system would be a money-saving affair. It does the work of an HR group of five people under a single time frame. Not all the time, human work can guaranty about error-less output but software can. That’s why, where a single mistake can cause the firm to spend money and time on a wrong candidate, ATS can prevent that from happening through its intelligence workflow management. Recruitment firms can gain a competitive advantage over their competitors by leveraging data and analytics to streamline their process. ATS will give data-driven insight to arrive at an important decision. Applicant Tracking Software pricing: what are the costs? You can use the application for free with very limited features or you can have the leverage to use it to its full potential with a per year subscription fee of $1 million. The bottom line is ATS can be an ideal investment but its cost is elusive. The average price of ATS software varies from around $3,000 per year to $140,000 per year. The cost increases with the number of users. The former price quote is for less than 10 employees whereas the latter is for catering more than 5,000 employees. Adding extra features may cost extra as adding toppings over a pizza. In case, you are not sure about your decision, don’t go for a big risk, subscribe for a couple of months, see what the tool has to offer and then if it matches or exceeds your expectation, switch to a yearly subscription. The monthly subscription can be as low as $19 per month. Making an investment in Applicant Tracking System Software is not a small decision especially in the present scenario of a tight economy. Therefore, you should carefully scrutinize the Pros and Cons of the application to decide whether the technology is worth investing or not. While talking to your vendor be transparent and state your requirements clearly. It will help your vendor to come up with a tailor-made ATS application to meet your demands with ease. » Employee Scheduling Software - Employee scheduling software, as the name suggests automates and schedules the employees’ regular schedule. So the basic definition goes like this – software that processes, creates and maintains the schedule of staff or an employee of any company is called employee scheduling software. » Recruiting Software - Say goodbye to the missed hiring chances forever with the recruiting software! There is no denying that recruiting is quite a time-consuming process. You couldn't agree more, could you? Hiring managers and recruiters face an overload of resume. Every single application needs to be sent to the right person, sorted and ranked for review.